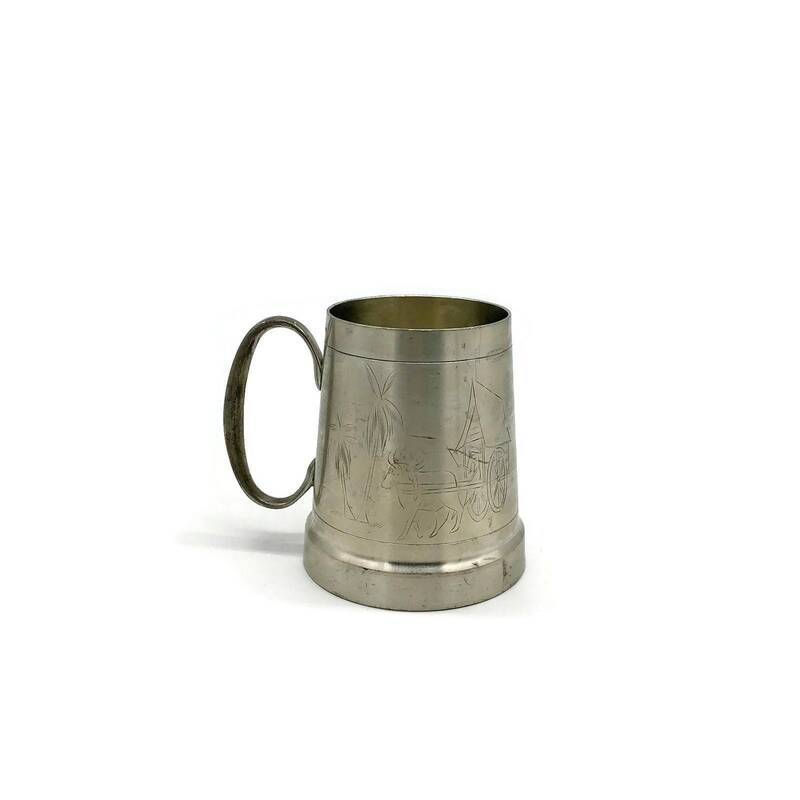 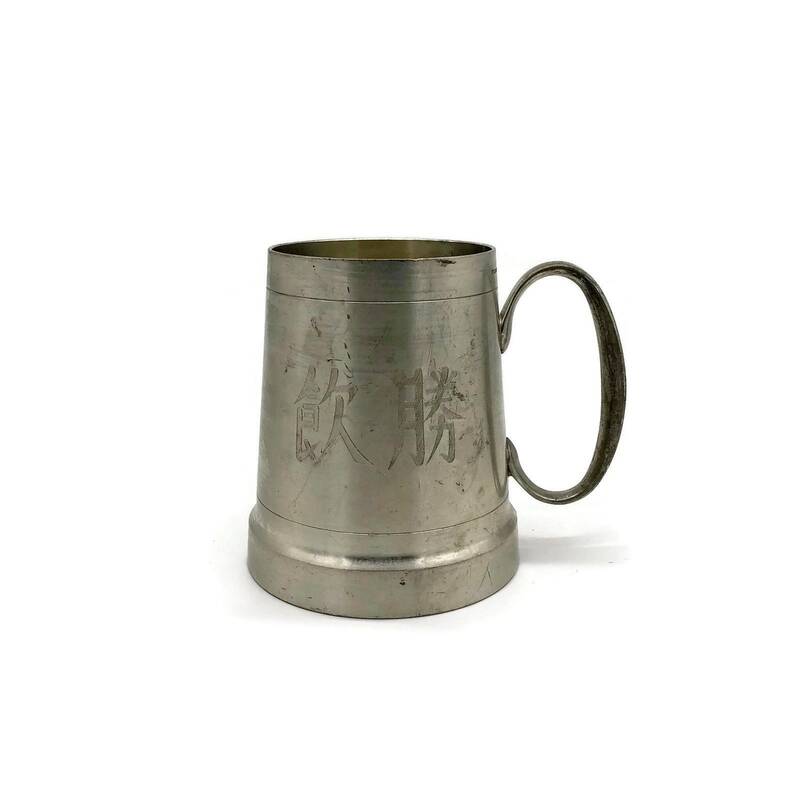 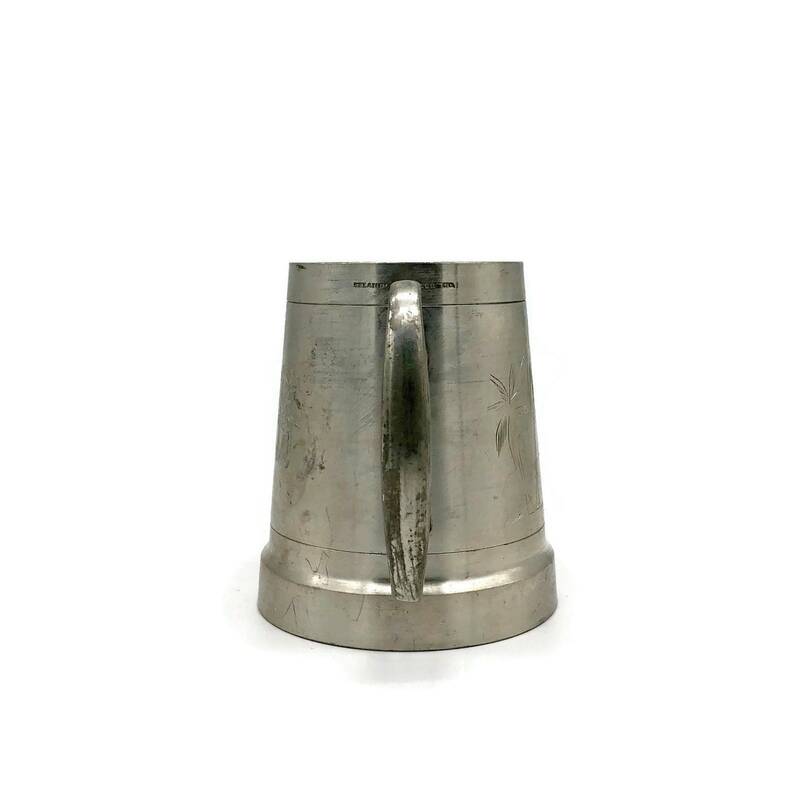 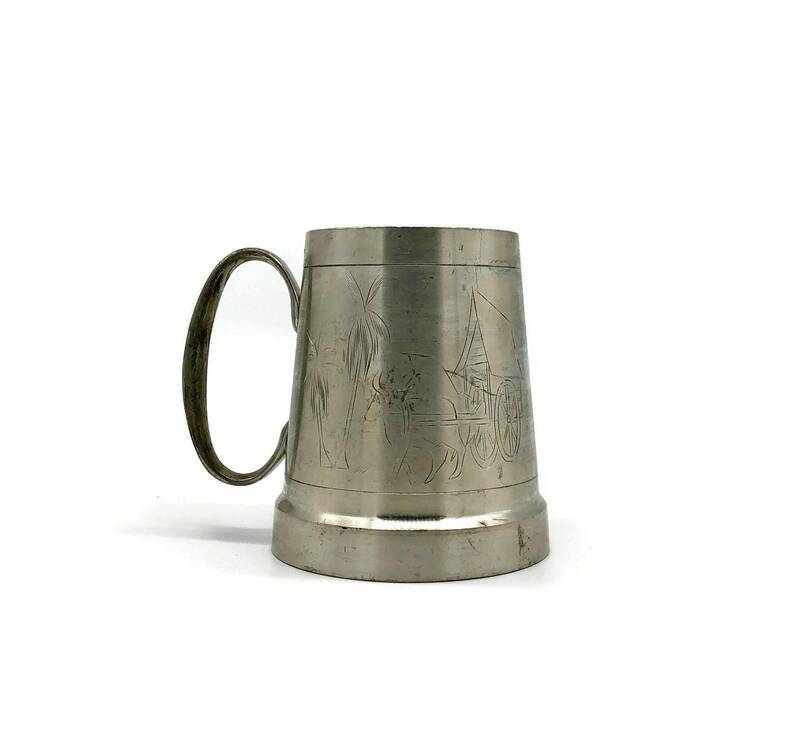 Vintage pewter beer stein with glass bottom. 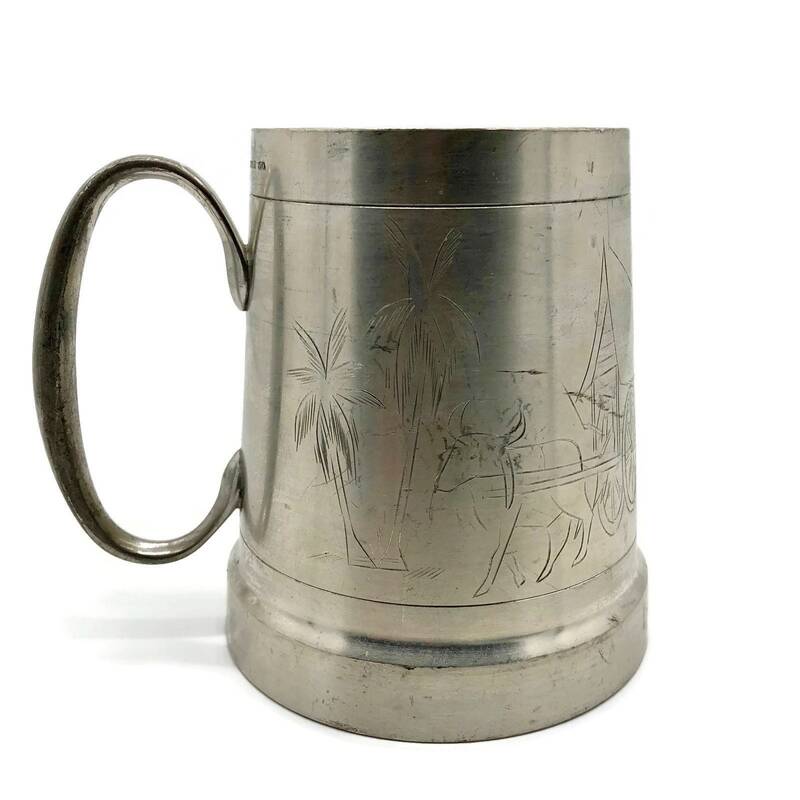 Made by Selangor Pewter in the 1970s and features an etching of a tropical Asian scene. 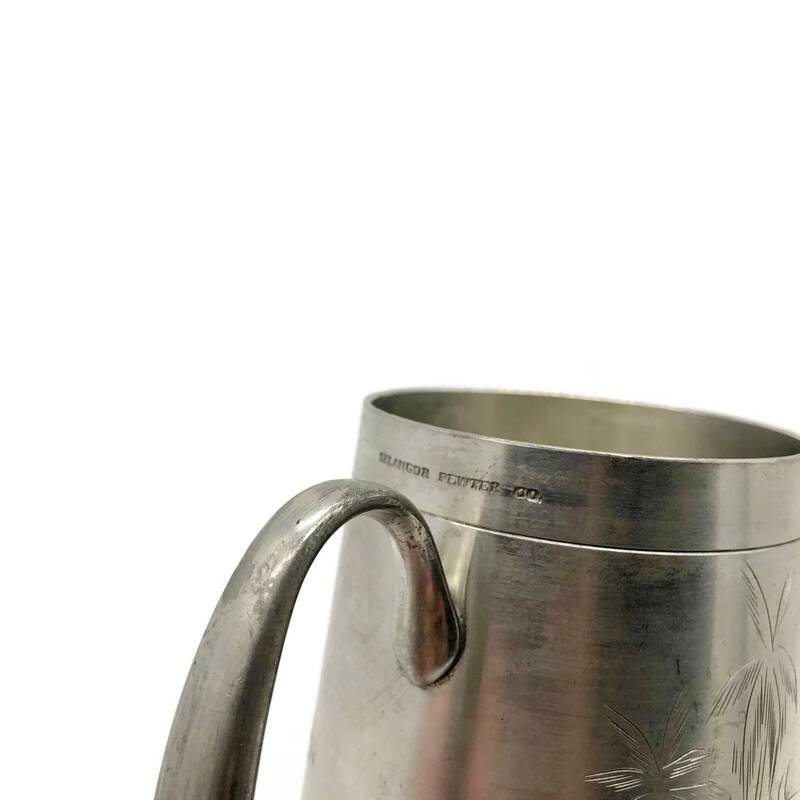 There is some minor scratching but no other cracks. 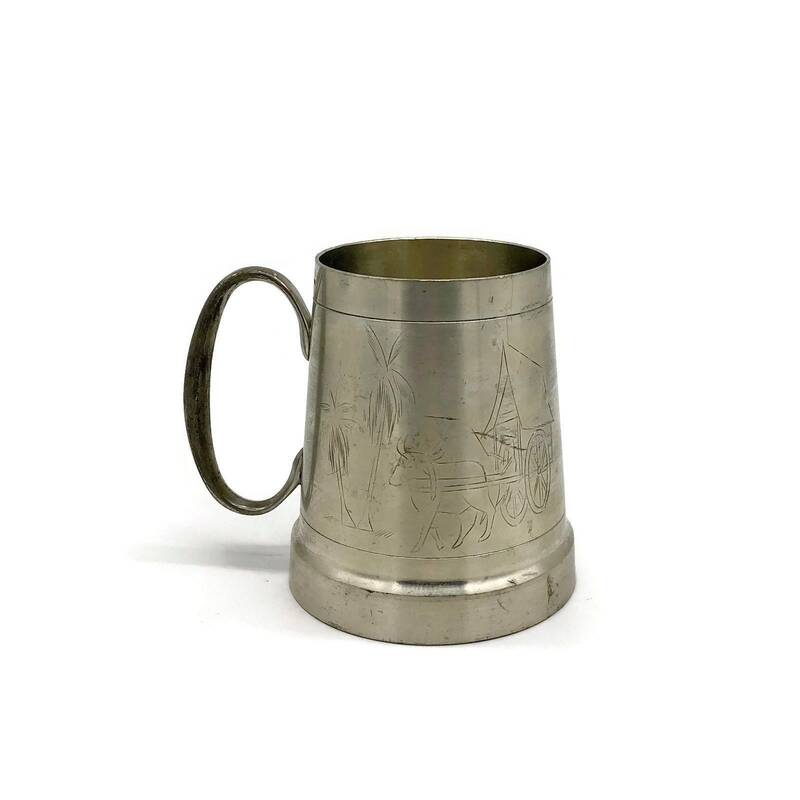 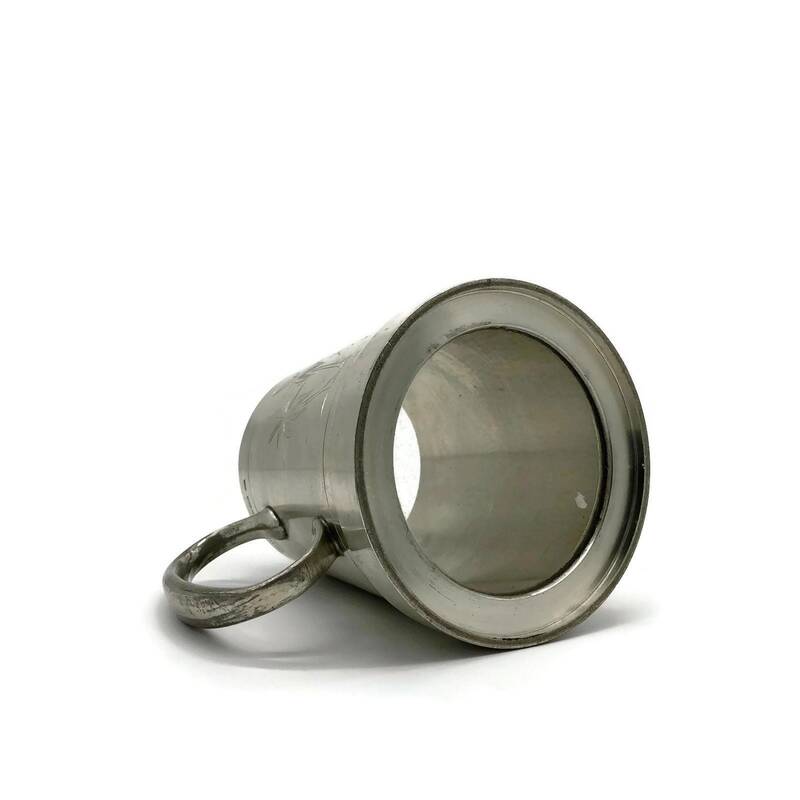 Would be great at a bar or used as a utensil holder on a desk or vanity.